Casagrand Olympus – the latest venture of top-notch luxury apartments from the prestigious group of Casagrand – spells out pure opulence. This magnum opus was launched on June 3rd, 2017 by the Managing Director of Casagrand, K.R. Anerudan. Casagrand Olympus is conveniently located at the heart of the city, in the plush locality of Mandaveli, with a breathtaking view of the Marina beach and Adyar creek. This palatial property houses 38 luxurious homes which are a class apart. 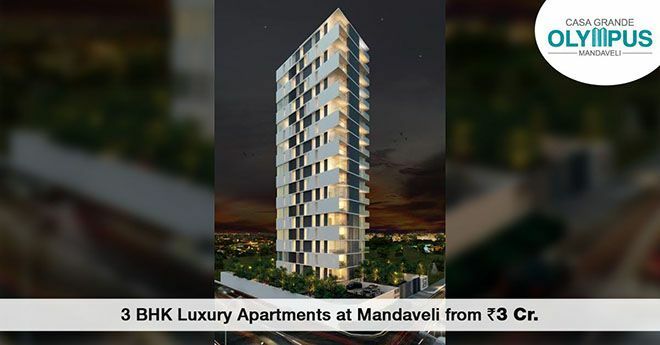 Built over a towering height of 19 floors, each storey accommodates two extravagant 3 BHK apartments, with state-of-the-art interiors and a contemporary framework. The built up area of each apartment ranges from 1868 to 2059 sq.ft with swanky wooden parquet and Italian marble flooring, cutting-edge Grohe fittings, extensive gymnasium and indoor games. With such luxurious amenities and unbeatable connectivity to all the major hubs of the city, each resident will be treated to high-class living and splendor. The ceremony was inaugurated by K.R. Anerudan, who also quoted “Casa Grande Olympus is one of the most luxurious projects from Casagrand and will be a legendary landmark in the city. Each apartment is crafted with high-end amenities and features to give residents superior comfort in the heart of Chennai”. Available at an irresistible price of Rs. 16,200 per sq.ft, a luxury apartment at Casagrand Olympus is a priced possession for every investor.